1. The remainder of this document sets out the terms and conditions which apply to the agreement between you (our customer), and us (Boilerhut). 2. When you ask us for a quotation, one of our surveyors will come to your property to carry out a survey (online and using photographs). If we cannot survey your property, or do not consider it to be suitable for us to provide the requested goods/services, we do not have to provide the survey or any product to you. 3. If we do survey your property (online and using photographs) and provide you with a quotation (the ‘Quotation’), the Quotation will be subject to the matters set out in this Agreement, which you should note. The Quotation will include those products, services and other items or work which our surveyor considers that you require based on the survey (together, the ‘Work’) and will remain open for acceptance for 30 days(in some circumstances this may vary), although we reserve the right to withdraw the Quotation at any time. Our prices are subject to VAT and to any change in the rate of VAT. 5. Once you have accepted our Quotation, you can choose to either pay in full or to make an application to pay for the Work through a Credit Agreement. In providing you with the option to pay for the Work through a Credit Agreement, Boilerhut acts as a loan broker not a lender. Boilerhut is not authorised and regulated by the Financial Conduct Authority, works with Tradehelp (697812). Any Credit Agreement will be between you and the lender and they will provide you in advance with full details of the proposed finance costs and related terms and conditions (any estimate of finance costs provided by us must be treated as an estimate only of what may be available). 6. We are only able to offer you credit through the lenders with whom Tradehelp work with and we cannot provide you with any advice. So, if you are not sure about what is best for your own financial situation, you might want to seek independent advice. Of course you are free to seek credit from other sources should you wish to do so. We shall not have any liability regarding your choice of any credit facility you enter into. If you cancel any credit agreement at any time, you will become responsible for immediately paying in full for the Work, or in respect of any outstanding balance. 7. If you do not enter into a Credit Agreement, you must make a 10% deposit in cleared funds prior to commencement of the Work, using a credit card, BACS or a cheque. The remaining balance will need to be paid within 24 hours of completion of the work and sign-off. If the Work is cancelled prior to installation, we will refund to you all sums paid in advance, less any amounts due for Work carried out prior to cancellation and (in the case of cancellation by yourself) any amounts due for costs incurred by us to the date of cancellation. 8. Whilst we may provide guidance to you in respect of the process by which you can apply for any cashback offers available to you, we are not responsible for the success or failure of such application, and the success or failure of your application does not affect your obligation to make payment to us for the goods and services provided, nor can we delay receiving payment to the date at which you may receive any such cashback. 9. We make no guarantee that any RHI payments or other government sponsored payments or grants will be either accessible to you or will amount to any specific value. We are not in a qualified position to be able to provide you with any guarantees or promises as to the extent of any payments or grants and you need to separately retain the services of a qualified assessor for this purpose. You will remain liable for making payment in full for the Work (whether paid for on finance or in full) and we cannot make any assurances that you will receive any funds towards such payment/s from any source. 10. Where we agree to assist you in obtaining an Energy Performance Certificate (EPC) or Green Deal Advice Report (GDAR), we will place you in contact with a Green Deal Assessor to arrange a mutually convenient appointment time. You must make payment of the EPC/ GDAR fee in full in cleared funds prior to commencement of the EPC/GDAR appointment. We are not responsible for the contents of such report and have no liability to you in the event that we are unable to provide an EPC or GDAR in your area or within any timescales desired by you, nor do we take any responsibility for the correct production and/or filing of such report/s, such liability rests with the assessor. 11. Once we have accepted your order and you have (where relevant) completed your Credit Agreement to the satisfaction of the lender, or we have received the agreed advance or deposit payment due in cleared funds, we will agree with you a date for the Work to be carried out within normal business hours. We will endeavour to carry out the Work on the agreed date but this may be subject to change and we shall not be liable in any way for any delay or any losses whatsoever arising as a result. Time shall not be of the essence for the purposes of this clause. 12. Please note that if there is a significant delay between our acceptance of your order and receipt of full payment, the Quotation may be subject to change. 13. Most heating installations do not require planning permission but you should check. If, for example, your property is a listed building or you are in a conservation area and/or the system flue extends 1 metre above the roof height then you may need planning permission. You are responsible for contacting your local planning authority to obtain confirmation that planning permission is not required. We cannot be held liable for any installation carried out where planning permission was required but not obtained and we cannot offer refunds in such cases. 14. You must provide the following for our use free of charge during the Works: water, washing facilities and toilets; electricity supply; gas supply (where relevant); adequate storage space; safe and easy access to your property from the public highway; easy access to the location within the property where the installation is to take place. 15. Goods belonging to us may be delivered to the site. If the contract is terminated early for any reason then, unless you have paid for the goods, you must return them to us. Until ownership of the goods passes to you: you must store the goods separately in such a way that they remain readily identifiable as our property; you must not destroy, deface or obscure any identifying mark or packaging relating to the goods; and you must maintain the goods in satisfactory condition. 16. If, when we commence Work, we find that there is a problem which was not reasonably apparent on survey (online and using photographs) or we find dangerous material such as asbestos, we reserve the right to cancel, suspend or increase the price of the Works. If we cannot carry out the Work for reasons outside of your control, you will not be charged. If you do not provide us with reasonable access or you suspend or cancel the Work, we may suffer additional costs and may recharge you for these and for any work carried out. 17. We will carry out the work in conformity with this contract and will take reasonable care in carrying out the Work but we do not accept liability for any damage to decorations, walls, floors or the like, which is not reasonably avoidable in carrying out the Work. We will make good any holes but will not re-decorate, re-finish or re-lay flooring or floor covering. Boxing in of pipework is not included unless specifically set out in the Quotation. You should therefore be aware that minor redecoration may be required after the Works, which is not included in the Quotation price. We will notify Building Control or Gas Safe of your installation as appropriate following completion. 18. You will pay any sums due by the relevant date/s set out on the quotation or otherwise agreed or, if not stated, immediately on completion of the Work. If you fail to pay the amount specified by the due date then we may charge interest until the full amount is paid. The interest rate we charge will be 3% above the base rate set by the Bank of England. If you are in breach of this agreement because you have failed to make an agreed payment, then we may be entitled to suspend work, recover any additional costs we incur and/or require you to return any delivered goods to us. 19. Any manufacturer’s warranty included with any Boiler purchased as part of the Work, is subject to the terms of such warranty (available directly from the manufacturer). Please note that, for the warranty to remain valid, you must ensure that the Boiler is serviced by a Gas Safe registered engineer within each 12 month period from installation. You must keep appropriate records of those services and be able to produce them on request. No servicing is included within this contract and you must make your own separate, personal arrangements for this. The manufacturer warranties for other products installed may attract other conditions and you should, in each case, refer to the terms of the guarantee or contact us for further information. 22. 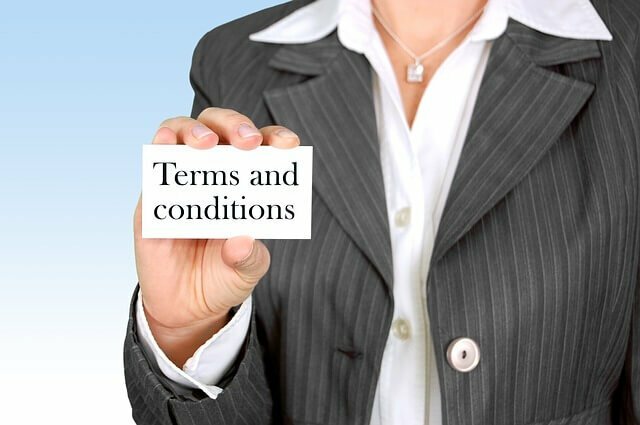 We may assign, licence or sub-contract all or any part of our rights or obligations under this Agreement without your consent. 23. This Agreement is personal to you and you may not assign licence or sub-contract all or any of your rights or obligations under this Agreement without our prior written consent. 25. If you give us information on behalf of someone else, you agree that they are aware of these terms and that they have given permission for us to use their personal information as described above. 26. We may monitor and record any communications we have with you, including phone conversations and emails, to make sure that we are providing a good service and are meeting our legal and regulatory responsibilities. 27. You are entitled to have a copy of the information we hold on you and to have any inaccurate information corrected. We may charge a small fee for providing a copy of any information we hold about you. 28. If you have any enquiries please contact us on 029 2009 9898 or sales@boilerhut.co.uk. Any complaints should be sent in writing to our registered address or emailed to us. If you wish to report a defect or issue with the Work, you must do so by telephone or email within 24 hours of discovering the same. We will endeavour to respond to any complaints within 24 hours and our complaints policy is available on request. 29. You may cancel services (if they have not yet been carried out) at any time up to 14 days after you enter into the contract for those services. You may return goods at any time up to 14 days from receipt, unless the goods have been mixed inseparably with other items by that point or if the goods were tailor made for you. You are responsible for returning goods to us at your own cost and deduction will be made if the value of the goods has been reduced as a result of handling. This does not in any way affect your statutory rights. If you wish to cancel any Work or return any items , please notify us immediately by emailing info@boilerhut.co.uk or by writing to us at Above Willis systems, Lamby industrial Park Cardiff, CF3 2EX . A standard cancellation form is available at the end of this document or by emailing info@boilerhut.co.uk. If Work has started before the end of the cancellation period with your agreement (i.e. you have permitted the Work to commence during that time), you may be required to pay reasonable costs for any goods or services supplied (in line with regulation 36 of the Regulations). If you wish to cancel any related Credit Agreement, please refer to the terms and conditions of your Credit Agreement with the lender. 31. The termination of this Agreement howsoever arising shall be without prejudice to the rights and duties of either you or us accrued prior to termination. 32. Failure by us to enforce or partially enforce any provision of this Agreement will not be construed as a waiver of any of our rights under this Agreement. 33. This Agreement is governed by the laws of England and Wales. Lamby industrial Park, Cardiff, CF3 2EX. I/We hereby give notice that I/we cancel my/our contract of sale for the following goods and/or for the supply of the following service.